Baylor University, a private Christian university and a nationally ranked research institution, provides a vibrant campus community for over 16,000 students by blending interdisciplinary research with an international reputation for educational excellence and a faculty commitment to teaching and scholarship. Baylor also strives to embrace diversity in its faculty, staff, and student body, with 36% of the 2017-18 undergraduate students identifying as ethnic minorities. 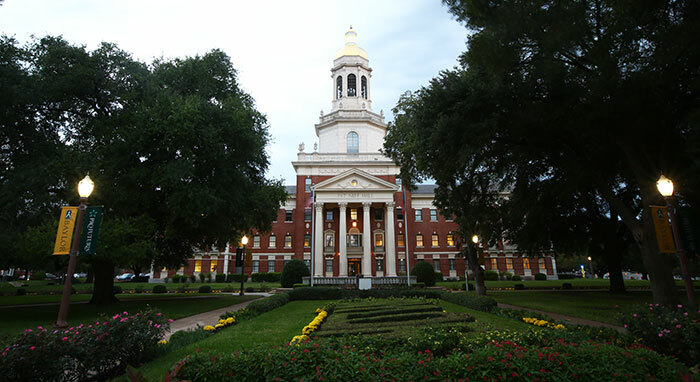 Baylor University enjoys high standing among many national rating services that evaluate quality of education, research activity, affordability, baccalaureate value, and athletic excellence. These rankings recognize not only Baylor, as a whole, but also our many respected schools and departments, which are led by our gifted, award-winning professors. U.S. News & World Report ranks Baylor No. 71 on their annual review of colleges and universities. Baylor is a Tier 1 school among national universities. The magazine also lists Baylor University as No. 45 on their list of High School Counselor Rankings among national universities. Schools in the national universities category offer a full range of undergraduate majors, masters and doctoral degrees. These colleges also are committed to producing groundbreaking research.